Kelly Ripa and Electrolux has teamed up again with the help of MomSelect to spread the word on yet another great project that Kelly is heading up. 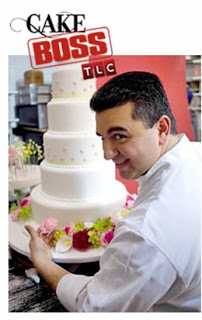 Kelly's Cake Off for a Cause and accomplished master baker and cake decorator Buddy Valastro, from TLC's "Cake Boss," recently joined forces at a fun event to bake lavishly decorated cakes in support of The Ovarian Cancer Research Fund (OCRF). 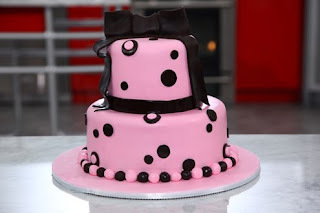 To add to the excitement, five teams of baking enthusiasts were invited to take part in Kelly's Cake Off, where they used what they learned from Kelly and the Cake Boss, to decorate their own cakes. I just love Buddy and his TLC show. I became easily hooked when I watched his show for the first time and marveled at his creativity and humor. Having Kelly and Buddy hook up had to be a riot. Here is where you come in to help raise fund for ovarian cancer. By visiting Kelly-Confidential.com, you can cast a vote for your favorite cake from Kelly's Cake Off. For every vote cast, Electrolux will donate $1 to OCRF as part of its $500,000 commitment to help fight ovarian cancer! What a perfect way to show your special valentine your love as you can even decorate and send a special virtual cake to a friend, family member or someone you love. For every cake sent, Electrolux will donate another $1 to OCRF. Buddy's top cake decorating tips are available as a treat! Thanks to MomSelect, Kelly Ripa, Electrolux and Buddy (The Cake Boss)!